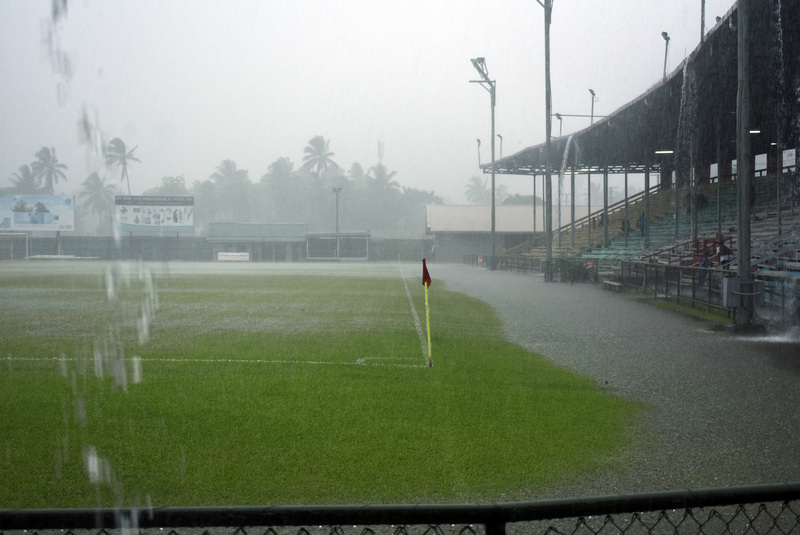 The Vodafone Premier League fixture between Nasinu and Ba on Sunday was postponed to heavy rain in Nausori. Fiji FA vice-president and national league board chairman Yogeshwar Singh said they had to call- off the match for the safety of everyone. “After consulting the match officials and both team officials we decided to postpone the match to the next date after taking in consideration the weather condition and the safety of players and officials, “said Singh. Singh said the match would be played at a later date. Singh thanked fans who made their way to stadium for understanding the situation. “I must thank the fans who all came and stayed calm till the announcement was made, “said Singh. There were about 100 fans at Ratu Cakobau Park who had bought the tickets but their ticket money were returned. Ba FC manager Arvind Singh said it was a good decision from Fiji FA to call-off the match. “I think it was a good decision by the officials of Fiji FA to postpone the match as we see the safety of players because of heavy rain and lightning, “said Singh. Meanwhile Ba will travel to Labasa this weekend and Nasinu plays Rewa at Ratu Cakobau Park in Nausori.